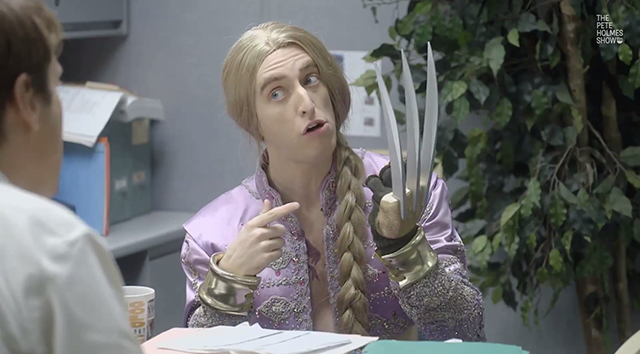 In the new comedy sketch “Street Fighter Red Tape: Vega ,” Pete Holmes the bureaucrat sits down with Street Fighter character Vega, who is played by actor Thomas Middleditch. Pete questions the unfair advantage that Vega has using a triple-bladed claw and suggests that maybe he take his fight to Mortal Kombat instead. We previously wrote about Pete Holme’s sketch “Street Fighter Red Tape: Ryu” that starred Mark-Paul Gosselaar.